Like many others, I’ve listened to ‘Another Day of Sun’, ‘City of Stars’ and ‘Audition’ on repeat since going to see ‘La La Land’. It’s a visually stunning film with catchy songs, creative directing and a surprising conclusion. However, it doesn’t deserve 14 Oscar nominations - a tally that only ‘Titanic’ and ‘All About Eve’ have matched. ‘La La Land’ follows the intertwining stories of struggling actress Mia (Emma Stone) and frustrated jazz pianist Sebastian (Ryan Gosling) as they try to succeed in Los Angeles. Billed as a modern musical and directed by Damien Chazelle of of ‘Whiplash’ fame, it recently snagged an unprecedented seven Golden Globes including awards for Best Actor, Best Actress, Best Musical and Best Director. The film’s creators have repeatedly expressed their surprise and gratitude that they were able to make this film, ostensibly against all odds. The narrative of a scrappy underdog overcoming fierce challenges to its success, coupled with the film’s focus on Hollywood and the importance of dreamers and artists, will undoubtedly endear it to the Academy's voters - actors, directors and other industry veterans. However, 'La La Land' isn’t as brave or outlandish an undertaking as its masterminds suggest. Movies such as ‘Moulin Rouge’, ‘Chicago’, Dreamgirls’, ‘Les Miserables’, ‘Mamma Mia’ and ‘Pitch Perfect’, not to mention the phenomenal success of ‘Hamilton’ on Broadway, have demonstrated that mainstream audiences enjoy showtunes and dance routines. There are plenty of reasons why 'La La Land' might be winning louder praise than it deserves. Its classic story of young love and reaching for the stars provides welcome relief and a timely escape from the anxiety and uncertainty plaguing millions following the election of Donald Trump, Britain’s vote to leave the EU and the rise of far-right politicians in several countries. Moreover, Mia’s amazing performance of ‘Audition’, and the innovative dream sequence that follows soon after, mean the movie ends on a memorable note, perhaps distracting from slower, weaker segments of the movie. Psychological biases may also be shaping public opinion. The film’s near-universal acclaim and record-breaking haul of Golden Globes mean many people have heard good things and go to the cinema actively looking to love it; not being wowed would make them contrarians, an uncomfortable label for many. On the other hand, sky-high expectations mean people are more likely to be disappointed. Damien Chazelle deserves credit for his directing and original screenplay, and the film certainly ranks among the best films of the year. Nods for the film’s cinematography, original score, two original songs and production design are also justified, and kudos for its sound mixing and sound editing isn’t unwarranted. But praising its film editing and costume design is a stretch, and the performances of Ryan Gosling and Emma Stone pale in comparison to those of Denzel Washington in ‘Fences’, Casey Affleck in ‘Manchester by the Sea’ or Natalie Portman in ‘Jackie’. (I haven’t seen ‘Elle’, but apparently Isabelle Huppert is also exceptional). Three movies - ‘Ben-Hur’, ‘Titanic’ and 'Lord of the Rings: Return of the King’ - share for the record for winning 11 Oscars. 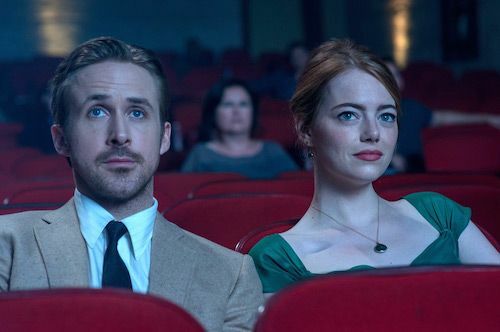 'La La Land' is an excellent film, but not one of the best of all time. It deserves at least five Oscars, but no more than nine.